This is the second video of a two-part course covering all aspects of debugging and testing using Visual Studio 2017. The first part focused on live debugging and unit testing. This part focuses on integration testing and measuring application performance. The course is very practical. Most of the time is spent in Visual Studio, performing typical every day tasks. Key concepts are explained when they are first introduced, always accompanied by hands-on examples. By the end of the video, you should be able to perform manual and automated testing of applications, as well as monitor and measure their performance. The video assumes basic familiarity with Visual Studio integrated development environment and understanding of testing concepts. You can learn a lot of that by watching the first video of the course. 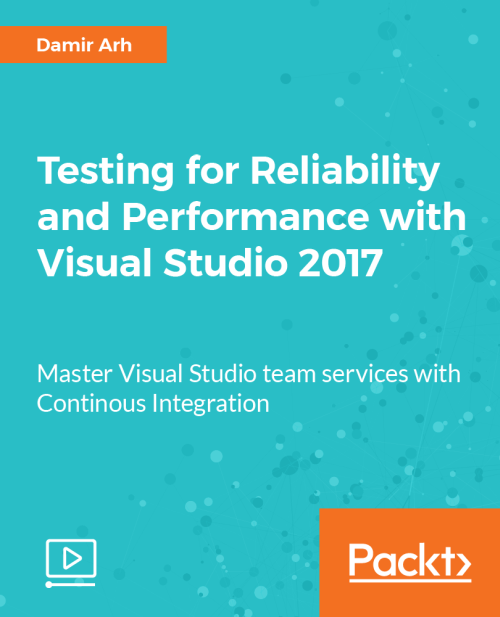 Section 1, Running tests on a build server, will help you configure the Continuous Integration service in Visual Studio Team Services to automatically run all tests whenever the code changes. You'll create a new Team Services account, project and Git repository in the process. Section 2, Testing manually with Microsoft Test Manager, will introduce you to the Microsoft Test Manager tool. You will use it to perform and manage manual application testing. You will configure the collection of diagnostic data and analyze test results. Section 3, Historic debugging with IntelliTrace, will teach you how to take advantage of IntelliTrace to record data when running the application from within Visual Studio or standalone, in order to perform historic debugging of encountered issues at a later time. Section 4, Debugging and testing user interfaces, will focus on debugging and automatically testing user interfaces of desktop and web applications, using coded UI tests and Selenium. Section 5, Improving performance with profiling tools, gives an overview of different profilers that are built into Visual Studio and can be used to measure CPU usage, memory usage and UI responsiveness. Section 6, Load testing web applications, will guide you through the process of creating load tests for web applications and running them either on premise or in the cloud.